This image is made mainly from images taken by David Finlay. 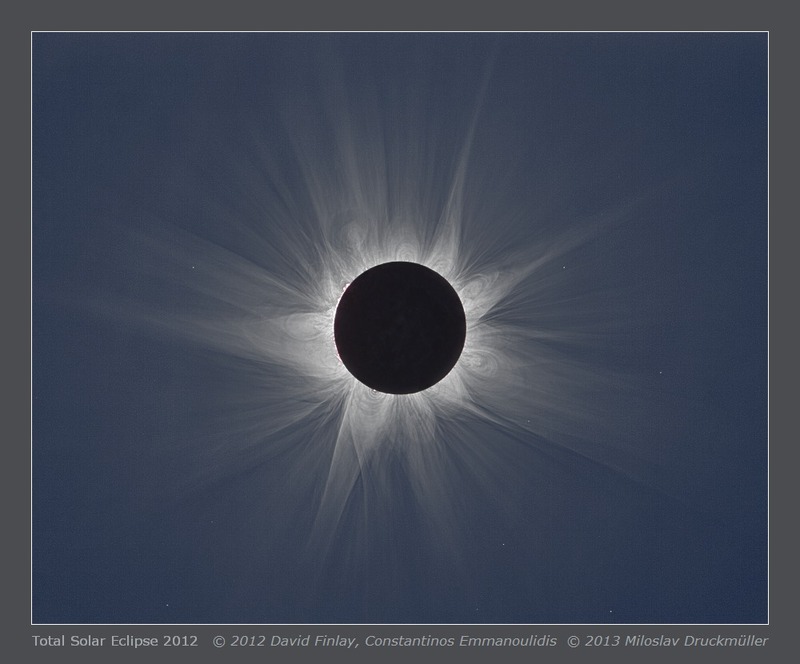 The S/N ratio and sharpness of innermost corona was improved by means of images taken by Constantinos Emmanouilidis. The image is only slightly influenced by thin high clouds which are visible as faint bands especially in top left corner in the image. The full resolution image you may find here. Click on the image or on the following reference to display the higher resolution image version (2.3 MB, PNG format). Processing Composition of 87 eclipse images - (1) 46, (2) 41. 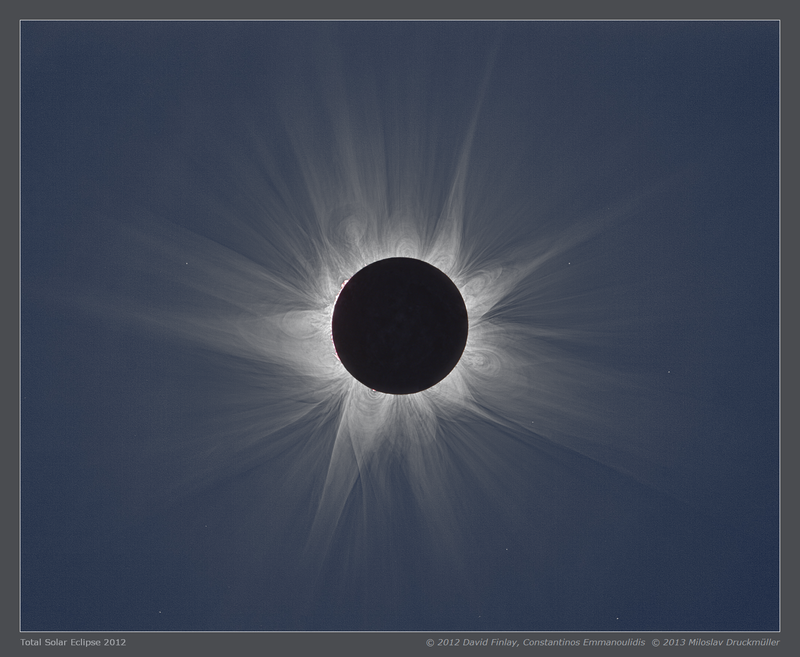 Eclipse images were calibrated by means of dark frames and flat-fields, aligned by means of phase correlation, composed by means of LDIC 5.0 software, processed using Corona 4.1 in order to visualize coronal structures. Final processing was done using ACC 6.1 software. Orientation Image must be rotated 11.3° clockwise to achieve standard orientation i. e. solar North up.